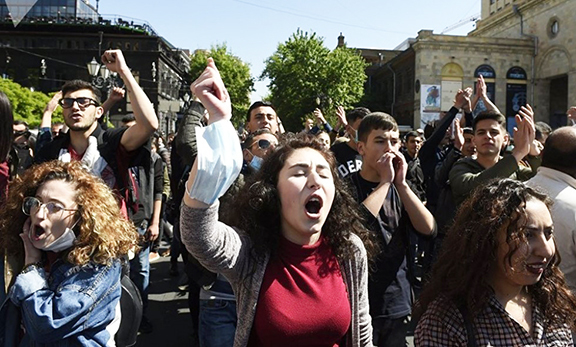 YEREVAN (News.am)—Armenia and Azerbaijan are not in discussions about the return of Azeri refugees to the Nagorno-Karabakh Republic, Armenian Foreign Minister Eduard Nalbandian told reporters Friday. “The Azerbaijani side has claimed that the sides are discussing refugees’ return to the Nagorno-Karabakh Republic, but I will once again say what I have already said: the issue is not being discussed now,” Nalbandian said. The Armenian Foreign Minister added that the issue can only be discussed after Karabakh’s independence is recognized and security guarantees signed. The transfer of refugees between Azerbaijan and Karabakh is part of a larger agreement for a Karabakh Peace, known as the Madrid Principles, which the parties have been negotiating over since they were introduced in November 2007. The Madrid document calls for the return of the liberated territories to Azerbaijan, population transfers into Karbakh, and the determination of Karabakh’s status at an undisclosed time. Karabakh does not recognize the Madrid Principles, Nalbandian said, explaining that international mediators from the OSCE Minsk Group have not yet forwarded an official copy of the working document to Karabakh’s authorities. “It’s one thing for Yerevan to show the document to Stepanakert, and quite another thing for the OSCE Minsk Group Co-Chairs to officially presented the document to Karabakh,” Nalbandian said.